The braces have come off, and now it is time for the retainer. This is necessary to ensure those healthy teeth, and that beautiful smile, do not go away. 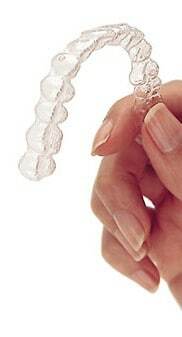 Remember these orthodontic devices are removable, which gives you a little more freedom, in comparison to braces. If you are like most people, you may be wondering why you need to wear a retainer, especially after you have worn braces for a long period of time. Wearing them after your braces come off could help prevent your teeth from shifting back into a crooked position. If you have had a surgical procedure done, or any method of teeth alignment, you will need these devices to help hold your teeth in position. These devices are custom-made to fit each individual, and they can be made with wires or clear plastic. How Long do I Have to Wear the Orthodontic Devices? The amount of time that you have to wear the retainer will vary case-by-case. However, the retention period typically lasts for one year, after your braces have come off. Remember that your teeth are learning how to stay in place, so wearing the orthodontic devices will help keep them straight, and take you one step closer to that beautiful smile you have been dreaming about. Some teens and tweens will dread wearing a retainer, which makes this part of the process an uphill battle. If this sounds like your children, let them know that these devices are removable, and that they have some great benefits. With anything, there will be some adjusting, and these custom-made devices are no exception. Remember that these adjustments are temporary, but they are necessary to achieve your permanent goal of having straight and healthy teeth that complement a beautiful smile. One of the biggest adjustments pertains to your speech. Initially, it will be difficult to speak with the retainer in your mouth. You can practice singing, reading, and speaking out loud until your mouth becomes familiar with the devices. After that adjustment period, your speech will return to normal. When these orthodontic devices are not being worn, you should always have them protected in a case. They can be broken, so you will need to handle them with care. To learn more about these custom-made devices, call us and schedule a consultation today. When it pertains to realigning your teeth, retainers are the best answer!